China asked Korea not to sell FA-50 fighter jets to the Philippines, the Yomiuri Shimbun reported Saturday. The daily said Beijing made the request ahead of a summit in Seoul between President Park Geun-hye and Philippines President Benigno Aquino on Oct. 17. Korea declined, saying it cannot accept "interference" in arms exports, an issue of its national interest, according to the daily. In their meeting, Park thanked Aquino for Manila’s decision to buy the FA-50 jets and urged a speedy signing of the contract. A government official here said, "The Philippines is engaged in a territorial dispute with China over the Spratly Islands, and that appears to be why Beijing protested several times through the Chinese Embassy and other channels." The government has officially denied the Yomiuri report, but officials privately admit it. 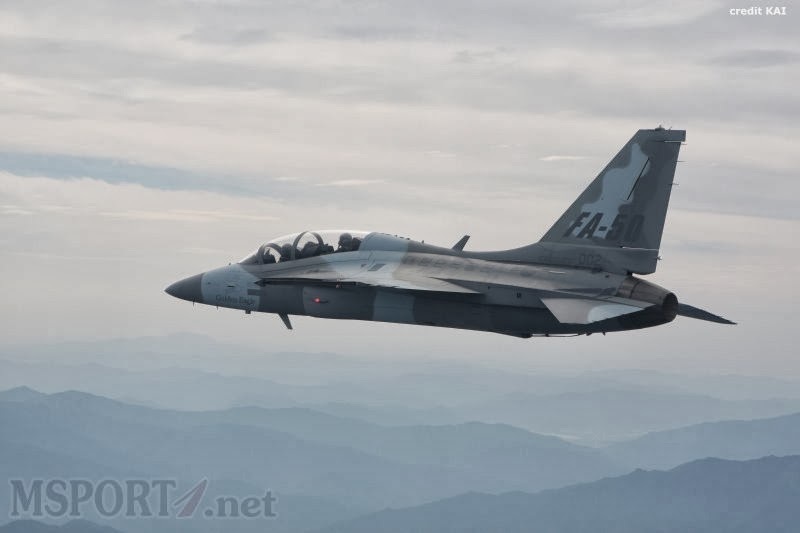 "Every time the Korean or Filipino media reported on the FA-50 sale, China reacted sensitively trying to confirm the reports through diplomatic channels," a government source said. But the official added the sale will go ahead. The Spratly Islands consist of around 30,000 tiny islands and reefs occupied by China, Taiwan, Vietnam and the Philippines. China has dispatched Navy ships to the South China Sea to bolster its presence there. The Philippines increased troop presence on the islands late last year and established a separate military command to handle their defense. Manila also recently decided to move some of its naval and air force bases near the South China Sea. There is speculation that the Philippines is acquiring the FA-50 jets to defend the Spratly Islands. The FA-50 is a light attack fighter jet based on the T-50 trainer jet. It can handle air-to-air and air-to-ground operations as well as taking on gunboats. The Philippines is also in talks with Korea to spend US$650 million to purchase Korean-made frigates. China is also engaged in territorial disputes in the South China Sea with Indonesia and Vietnam, which have either bought or are about to buy Korean weapons. Indonesia signed deals in 2011 to buy 16 T-50 trainers for $400 million as well as three 1,200-ton submarines. Vietnam held its first military talks with Korea last year to expand cooperation in the field.